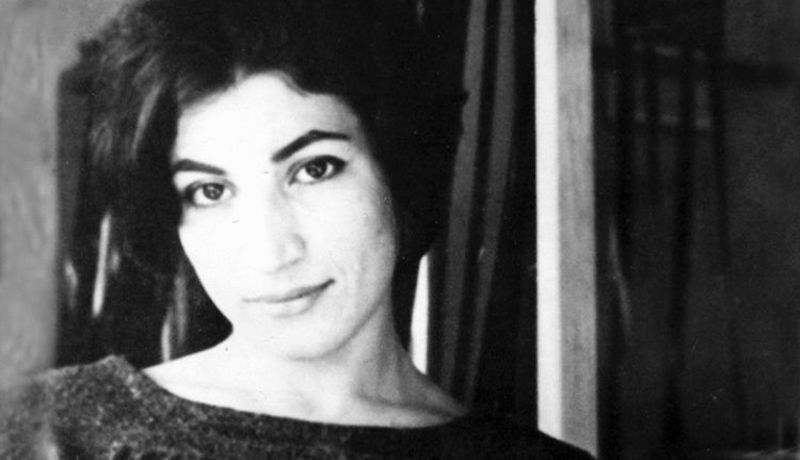 Jasmin Darznik on Forugh Farrokhzad: "The country's most notorious woman." I grew up in a house with very few books, but there was one that came with my family from Iran and never let me go: a slender, battered book of poetry my mother displayed on the mantle, next to photographs of our family and the country we’d been forced to flee. The cover showed a woman with kohl-lined eyes and bobbed hair, and the Persian script slanted upwards, as if in flight from the page. That book wasn’t an object or even an artifact but an atmosphere. Parting the pages released a sharp, acrid scent that was the very scent of Iran, which was also the scent of time, love, and loss. I wouldn’t know this for a long time, but Forugh Farrokhzad, the author of that book, died in a car crash eleven years before my family left Iran for America. She was just 32 and when she died she was the country’s most notorious woman. Her poems were revolutionary: a radical bid for self-expression and democracy written in a time and place which showed little tolerance for either, particularly when women voiced the desire for them. Like the thousands of other Iranians who left Iran in the late 1970s, my family escaped the country in a hurry. It was 1978, a year on the edge of political upheaval. Soon there would be gunfire and tanks and dead bodies heaped in the streets. In 1978 no one could know that, but many people—especially the poets and artists—sensed it. That was almost 40 years ago. I was five, and yet the details are strangely vivid: my grandmother sitting me on her lap to watch the pop diva Googoosh on television while my mother packed our suitcases. It was winter, and the snow was falling fast that night in Tehran. “We’ll be back soon,” my mother kept saying, but something in her made her walk over to the bookshelf and pick up her favorite book—a book of poems by Forugh. Something in her must have known she would need it. Growing up in America, I was made to think poetry is useless, that it’s dead or elitist or merely decorative. In Iran, meanwhile, there is no higher art form. Poets aren’t just venerated—they are loved. Everyone seems to have a favorite poet and can recite whole poems by heart. Iranians know that when you memorize a poem it becomes part of you. You carry it with you, even if in fragments, even in another country. I don’t remember my mother reading Forugh’s book or any other book when I was growing up. The exigencies of immigration, of remaking a life, didn’t allow it. My most enduring memories from those first years in America are of her working at the motel she and my father bought: shuffling from motel room to motel room with an olive gray trolley stocked with cleaning supplies, her voice reduced to a broken English. She worked long hours and when she came home she’d stretch out on the couch with the television on until she fell asleep, but maybe it wasn’t that she was just too tired to read. Poetry was bound up with a self she had shed, and it might have been too painful to be reminded of that self. Still, she never gave her books away. For Iranians in America the past 40 years have felt like an unbroken succession of losses and terrors. When I left home, her book of Forugh’s poems was one of the few things I took with me. In college I learned to read them in the original Persian. I’d devoured Plath and Rich, but I wanted to hear a particular voice—a woman and an Iranian—in whom I could see myself reflected. Forugh wrote about desire, about pain, about courage; reading her was a revelation. The very existence of those poems challenged the stereotype, so prevalent then, and prevalent still, that Iranian women were silent victims of fate. In those poems I found proof of everything America was telling me Iranian women were not and that Iran was telling Iranian women they shouldn’t be. Bold, brilliant, lustful, angry, difficult. Those poems saved me. They still do. For Iranians in America the past 40 years have felt like an unbroken succession of losses and terrors. The revolution, the Iran-Iraq war, the constant threat of military intervention—for us, the Muslim ban and current specter of war stir up a familiar dread. When I was growing up in the 80s and 90s, Iran and America were almost magnetically opposed. Both countries were part of me, but it became an intractable fact of my life to see them oppose and vilify each other. I became used to the opposition, but I was also pained by it. Poetry hasn’t solved that rift, but it has allowed me to articulate it, and as the prospect of war with Iran grows once again, I feel the pull of poetry, and in particular the pull of that slender, battered book by Forugh Farrokhzad. W.H. Auden, whose poems I happen to love, famously asserted that poetry does nothing. The American in me is inclined to agree; the Iranian knows he was wrong. For all of its history, in Iran a poem could get you killed—and set you free. When hundreds of thousands of protesters took to the streets of Tehran in 2009, their chants took the shape of poems, and often it was Forugh’s poems inscribed on their protest signs. Her poems have been banned and censored for nearly 40 years, yet Iranians continue to find ways to read them. If you don’t know Forugh’s poems, there couldn’t be a better time to read them. Read her poems and you’ll find not only Iran but America. 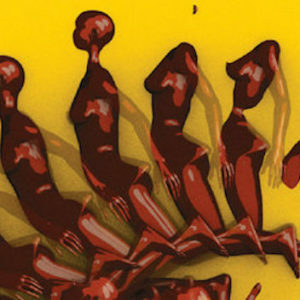 Read her poems and you’ll find the very forces that shape our moment: misogyny, censorship, nativism, consumerism, the annihilating violence of war. Read her poems and you’ll find that they, like all the best poems, don’t merely offer a reprieve from the abuses and terrors of the world, but a repudiation of the forces that make those abuses and terrors possible: ignorance and political regimes for which ignorance has been and will always be their life’s blood. and the futility of these concrete hands. that I’ll never be warm again. . .
but a few drops of blood. Jasmin Darznik was born in Tehran, Iran, and moved to America when she was five years old. She is the author of the bestseller The Good Daughter: A Memoir of My Mother’s Hidden Life. Her work has been published in thirteen countries and recognized by the Steinbeck Fellows Program, the Corporation of Yaddo, and the William Saroyan International Prize. Her stories and essays have been published in The New York Times, The Washington Post, the Los Angeles Times, and elsewhere. She holds an MFA in fiction from Bennington College and a Ph.D. in English from Princeton University. Now a professor of literature and creative writing at California College of the Arts, she lives in Northern California with her family. Her novel Song of a Captive Bird is out now.